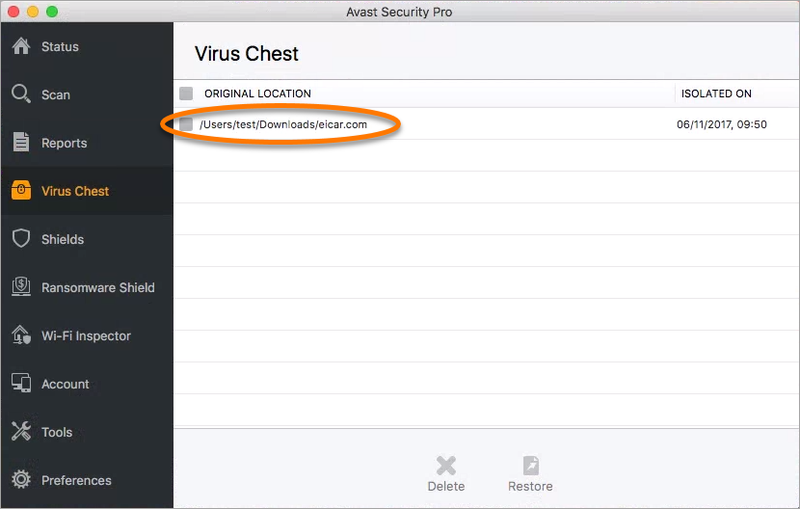 The Virus Chest in Avast Security for Mac is an isolated space where you can safely store potentially dangerous files before applying further actions. Files in the Virus Chest cannot run or access your system and data, so any malicious code contained within a file is unable to harm your Mac. If you double-click a file in the Virus Chest, only the file properties are displayed. This prevents infected files from being run accidentally and potentially causing damage to your Mac. 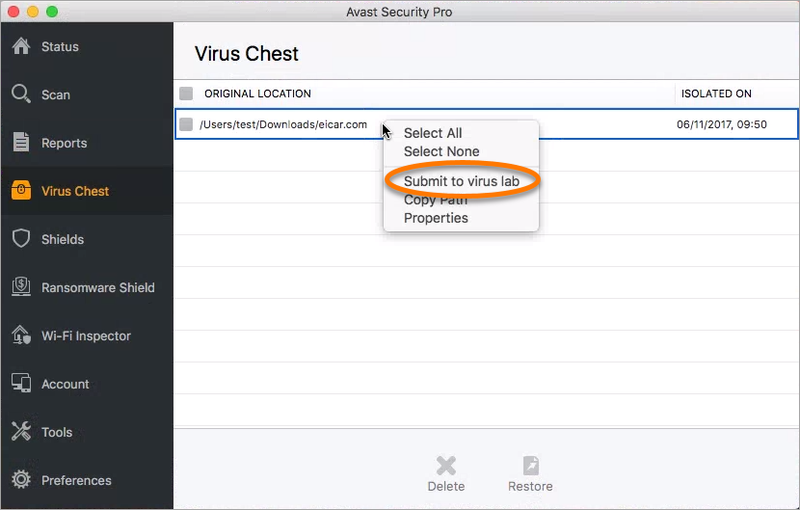 Refer to the sections in this article for instructions to manage files in Virus Chest. If a manual scan detects a suspicious file and you confirm that a detected file should be moved to Virus Chest. If an active shield detects a suspicious file. 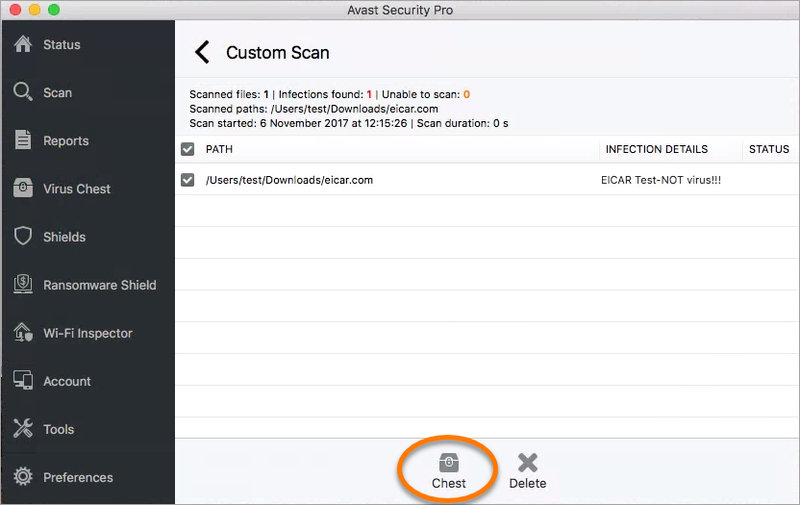 If Avast Security detects a suspicious file during a scan, the detection appears in the scan report. You can send the file to the Virus Chest by clicking Chest at the bottom of the Reports screen. When the file has been moved, it is marked as Moved to Chest in the Status column. 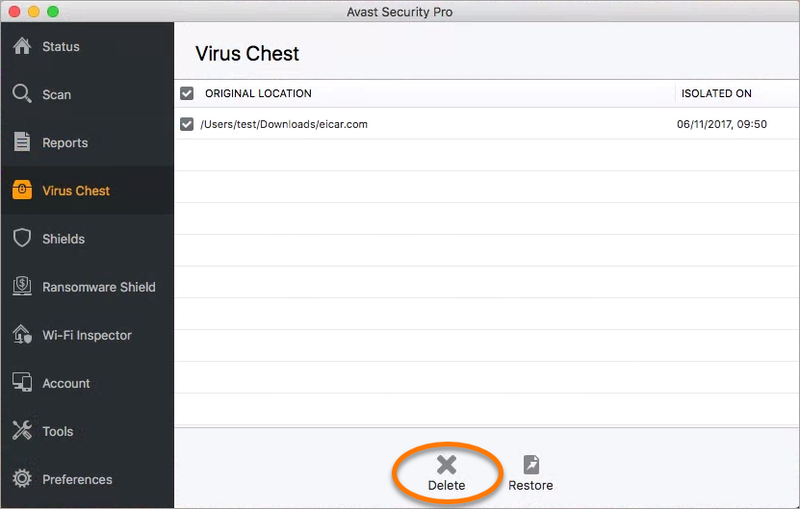 Select the desired file (or multiple files) on the Virus Chest screen. 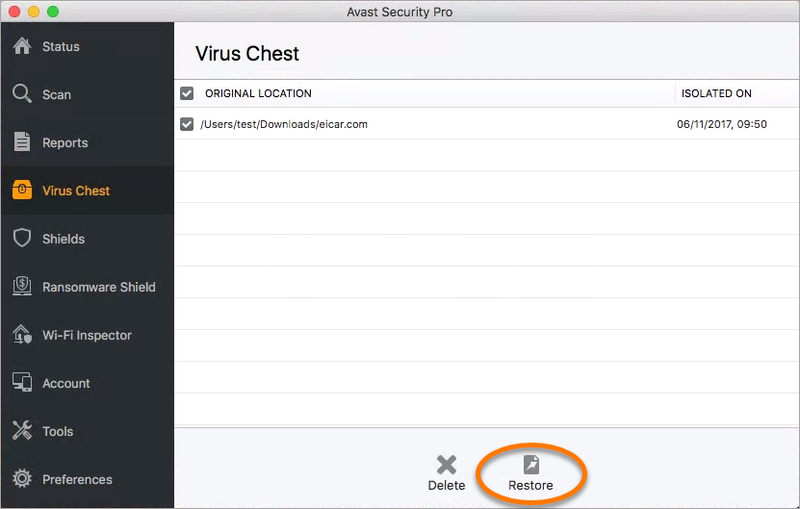 Restoring files from the Virus Chest, especially infected files, is only intended for critical situations (for example, if a system file has been moved there). To prevent potentially infecting your Mac, we recommend you only perform this action if you have advanced skills and experience in handling infected files. In the form, select the sample type (either Potential malware or a False positive) and enter as much additional information as possible. 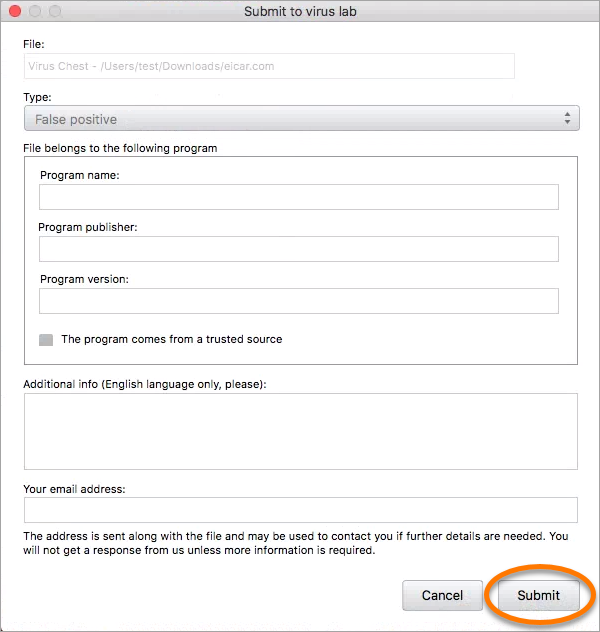 If you are submitting a False positive, specify the Program name, Program publisher, Program version number, and reason why you believe the file or program should not have been detected. A confirmation appears when the file is submitted for analysis. 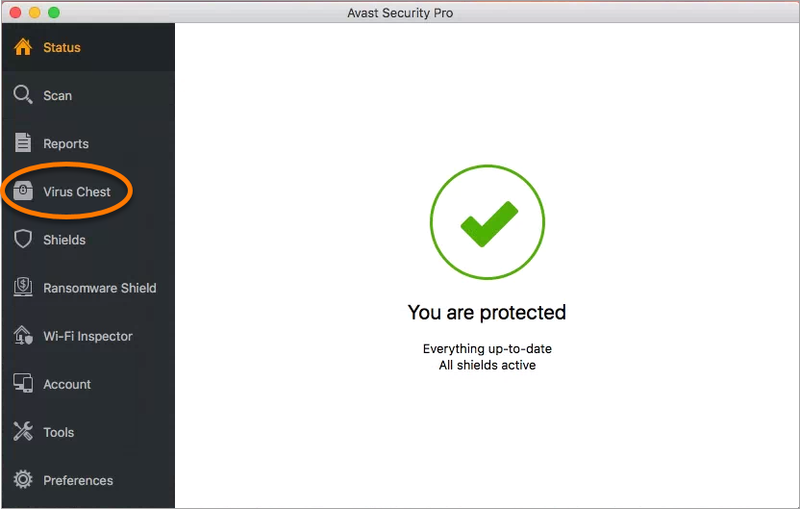 In most cases, the Avast Threat Labs processes the files they receive without sending a response to you. Select a file (or multiple files) on the Virus Chest screen. Click Delete at the bottom of the screen.